mechanical failure and a 1 year powder coat warranty. Made in the USA. Vacuum Pump Relocation Bracket sold separately. Not designed for use with Warn Zeon Winches. Well built, well finished, and strong. 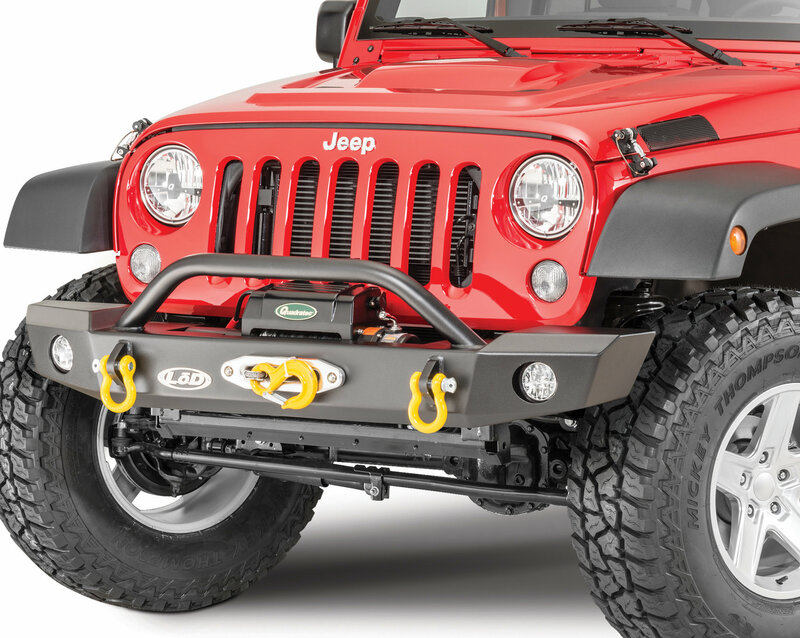 No more difficult to install than any other JK bumper. 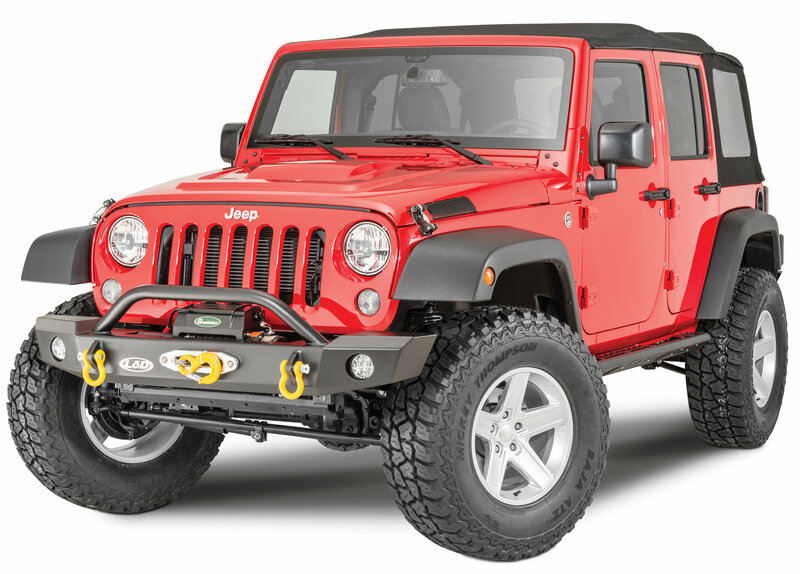 It does have tight clearances between an installed winch and the lower grill, but that is only an issue if you have to remove the grill for some reason, like changing a headlight, which is infrequent. You MIGHT have to unbolt the winch and move it slightly forward to get the grill off. However, I've had no problem with that issue, it's only a "maybe". Very pleased with the product. What is the overall width measurement of this bumper? Does this bumper come with a skid plate? No, the skid plate is sold separately. Is the vacuum relocation kit included with this bumper? No. LoD Brake Vacuum Pump Relocation Bracket (http://www.quadratec.com/products/12068_1908_07.htm) is sold separately.